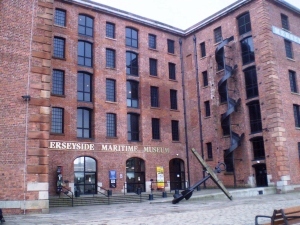 The IWMW 2016 event will feature a special dinner which will be held in the Merseyside Maritime Museum from 7.30 pm on Tuesday 21 June 2016 (the opening night of the event). The city’s seafaring heritage is brought to life within the historic Albert Dock. The museum’s collections reflect the international importance of Liverpool as a gateway to the world, including its role in the transatlantic slave trade and emigration, the merchant navy and the RMS Titanic. The UK Border Agency National Museum, ‘Seized! The Border and Customs uncovered‘ is located in the basement gallery of the building. Wine, beer and soft drinks will be provided at the dinner. There will also be a pay bar for when the drinks run out! As is the norm for IWMW events the second evening is free for delegates to arrange their own food. We will provide details of suggested restaurants and pubs which serve food. In particular note that there are a number of restaurants on the Albert Docks. After eating you may wish to visit Liverpool’s famous night scene. We will provide some suggestions for pubs to visit, including one or two pubs which people may wish to meet up with other delegates after eating. The Mando Agency will be arranging a social event at Revolucion de Cuba, Albert Dock, 22 Edward Pavilion, Liverpool Waterfront, L3 4AF. This is a bar / restaurant which has opened recently. An indoor and outside space have been reserved. Arrive from 6.30 tonight. 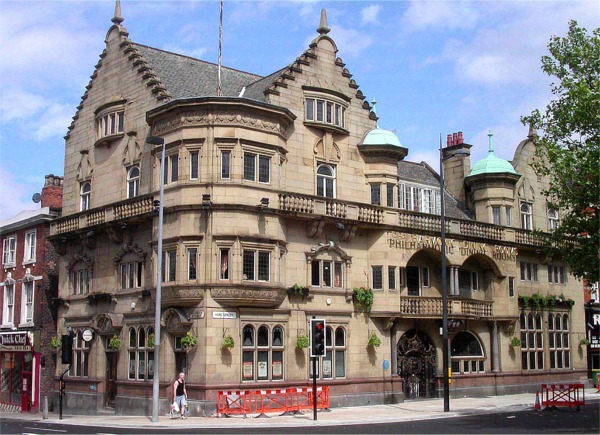 Zengenti and Funnelback are organising a drinks evening in the Philharmonic (the ‘Phil’), described as “Famous for being one of the most lavish and ornate pubs in the country“. The Phil’s address is 36 Hope Street, Liverpool, Merseyside, L1 9BX – 6 minutes walk from the Redmonds Building. Arrive from 5.30 tonight. Note for both events please bring your badge and lanyard. The Philharmonic Dining Rooms is a public house at the corner of Hope Street and Hardman Street in Liverpool, Merseyside, England, and stands diagonally opposite the Liverpool Philharmonic Hall. It is commonly known as The Phil. It is recorded in the National Heritage List for England as a designated Grade II* listed building. The Ship & Mitre has stood the test of time as a recognised destination for a well looked after pint of quality beer. Currently a CAMRA Pub of Excellence, we have also won Pub of the Year on a number of occasions, and offer the largest selection of hand-pulled ales in Merseyside – not forgetting the range of around 200 beers (draught and bottled) is one of the largest in the North West. Acknowledgements: The images of the Merseyside Maritime Museum and the Philharmonic Dining Rooms are taken from Wikipedia.